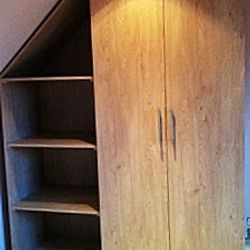 MS Carpentry Contractors Ltd prides itself on providing an honest, friendly, professional and reliable service. We bring the same level of commitment to every project, no matter how large or small. Customer satisfaction is extremely important to us and our skills and expertise in delivering a range of different services, tailored to meet our clients requirements, ensures that our clients come back to us and are also more than happy to recommend us. We realise that choosing the right company can be a difficult decision but hope the comments from our previous clients will be of assistance to you. If you require any additional references then please feel free to contact us. 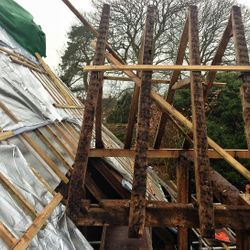 Alternatively, if you would like to discuss our services in more detail or have a new project in mind, please click here to contact us. We look forward to responding to your enquiry. MS Carpentry Contractors Ltd recently assisted in the design and installation of our new kitchen. 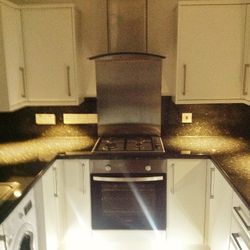 This included a new ceiling, flooring, lighting, replumbing as well as fitting new units and worktops. We found MS Carpentry to be professional and reliable. Their standard of workmanship was excellent as were their workforce. They were also very approachable with regard to any changes required and not part of the original design. I would most certainly recommend MS Carpentry to others who require an excellent standard of work at a competitive price. Wonderful job and so refreshing to deal with a professional, reliable and competitively priced company. 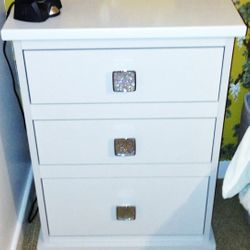 When I moved into my flat I needed someone to fit my new wooden floor and build some wardrobe and drawer units in my bedroom. I contacted several local companies but found them unreliable and a lot more expensive than my budget would allow. MS Carpentry Contractors Ltd were recommended to me by a friend and when I contacted them, they couldn't be more helpful. I agreed a price upfront and arranged a time for them to start the work. It was important for me to be able to trust them in my flat while I was at work and I can honestly say my experience of dealing with MS Carpentry Contrators Ltd was completely worry free. 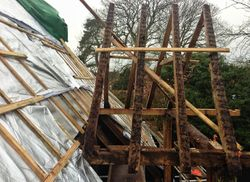 The work was completed to a VERY high standard and I am absolutely delighted with the end result. They took great pride in the work undertaken and left the flat in a very clean and tidy state at the end of each day. 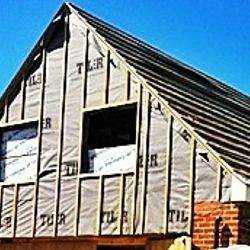 I have already recommended MS Carpentry Contrators Ltd to my friends and will definitely call on them again if and when I require additional work to be completed. I am extremely satisfied with the end result and have no doubt you will be too, if you decide to use them. Reliable, friendly and a completely stress free experience. The stairs are absolutely beautiful and the finish is excellent. I couldn't be more pleased and would happily recommend you. I contacted MS Carpentry to see if they could help build a wooden storage unit for my backgarden. Althought the job was relatively small, MS Carpentry listened carefully to what I wanted and were able to advise on the best design and materials. They provided a quotation on a no obligation basis and at no point did I feel pressure to use them. The whole process took no more than a couple of weeks (from initial call to completion of the project) and I am very happy with the end result. I would not hesitate to recommend MS Carpentry Contrators Ltd and have already given their number to several neighbours in the area. Absolutely 1st class. I would not hesitate to use them again. Delighted! My fitted wardrobes and bedroom cabinets are the envy of my friends. The quality of craftmanship and the attention to detail were exemplary. I cannot fault MS Carpentry in any way. Well done!